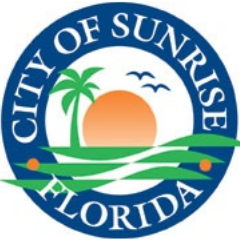 The City of Sunrise was incorporated in 1961. Originally known as Sunrise Golf Village, the City had a population of 4,300 and comprised just 1.75 square miles by 1967. Then, during the 1970s – as Broward County began to push west – Sunrise experienced its first real growth. Sunrise Florida is approximately six miles west of Fort Lauderdale, and is adjoined by the communities of Weston, Davie, Tamarac, Lauderhill and Plantation. Over the last decade, the City has fulfilled a commitment to improving residents’ quality of life with approximately $325 million in capital improvements completed or underway – the most significant public investment in a community being made by any municipality in Broward County today. At the same time, Sunrise has reduced the property tax rate for the past thirteen consecutive years. Sunrise offers its 85,000+ residents a variety of attractive, well-maintained neighborhoods – from private, gated golf-course communities to quality rental properties. Sunrise also continues to provide its growing population with first-rate services, and is the county’s recognized leader in providing quality-of-life facilities for residents. The City of Sunrise offers a wide variety of recreational opportunities, including a soccer club, golf course, a tennis club, playgrounds and municipal swimming pools – as well as a Senior Center and a Civic Center complex featuring a 300-seat theater, an art gallery and banquet facilities. Today, Sunrise boasts its own flourishing job market and has emerged as the county’s leader in commerce, having developed the largest corporate office park in South Florida. From humble beginnings, Sunrise has also grown into a sophisticated city of culture – offering residents and visitors abundant opportunities to experience art, theater, fine dining and first-class entertainment.